Well, girls and boys, we made it to 100! I didn’t think we would. I have been posting every week since February 2009! Can you believe it? I also love it that 100 came at the end of this year. It is so neat and tidy. I don’t know what will happen next. I am in the groove of posting and have plenty more words. Perhaps I will advertise and get more participants? We’ll see. I’ll let you know next week. 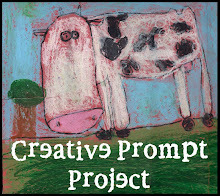 The Creative Prompt Project, also, has a Flickr group, which you can join to post your responses. Are you already a member? I created this spot so those of you without blogs and websites would have a place to post your responses. Please join and look at all of the great artwork that people have posted. 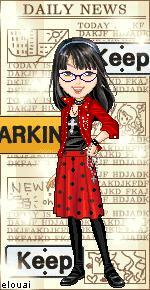 Post yours and get kudos! You also made me a “Sweet Dreams” pillowcase in 2010. It is on the list under pillowcases, but thanks for the reminder! Just do a prompt response! http://lazyquilter.blogspot.com/2011/08/mixed-bag-of-day.html it is here along with three others! Your drawing isn’t sad like many Alzheimers artwork is. The memories look like they are floating off to start a new life.